While Christmas is approaching faster than a speeding sleigh on a ski slope, your present shopping may have already slowed to glacial pace. It’s always easy to find gifts for some people on your list, of course, but there are typically one or two stubborn holdouts that seem impossibly hard to buy for. Don’t worry, though. The trick to tricky recipients is to give them the gift of a cool experience they’ll never forget. And Richmond is full of memorable options. Keen to uncover some unique experiential gifts in the city? Read on for a few ideas. The region’s annual whale-spotting season runs from April to October. But if you want to surprise and delight any nature fans on your present list, buy them a gift certificate so they can start dreaming now. Richmond’s two big operators each offer certificates: check out your options with Vancouver Whale Watch and Steveston Seabreeze Adventures. For those dedicated people on your list that love to immerse themselves in the games they play, the Richmond branch of EXIT Canada offers a wide array of virtual reality escape room shenanigans. Current themes include Lost, Resident Evil, and Empire of Atlantis and you can purchase gift cards, in increments of $25 and up. Award-winning chocolatier Wild Sweets by Dominque & Cindy Duby is celebrated around the world for its innovative confectionery creations. And while you can buy unique treats here for that very special person in your life, consider taking it to the next level with a Meet the Makers experience. Participants learn all about tasting, appreciation, and pairing in this popular event—book far ahead. Richmond’s Steveston Heritage Experience Tour launched to great acclaim in 2018. And it’s sure to be a hot seller during its April to September 2019 run. The immersive four-hour walking tour includes visits to four historic sites in Steveston, complete with an evocative narration from a costumed guide and tasty treats to sample en route. For information on dates and how to reserve tickets, click here. For friends or loved ones who have had a hankering to express their artistic side, Steveston’s Phoenix Art Workshop stages regular (and highly welcoming) classes in a wide array of disciplines. Among those coming up in the first few months of 2019 are Landscape Drawing, Watercolour Workshops, and Acrylic & Oil Essentials. Check out the options and book ahead here. Sweet-tooth fans will also love the hands-on workshops at Steveston’s Sinfully The Best. Led by expert pastry chefs, upcoming classes cover everything from French macarons to fondant wedding cakes and even Valentine’s chocolates (yes, that’s coming up soon as well!). Check out the irresistible options here, and keep in mind that class sizes are limited so early booking is essential. 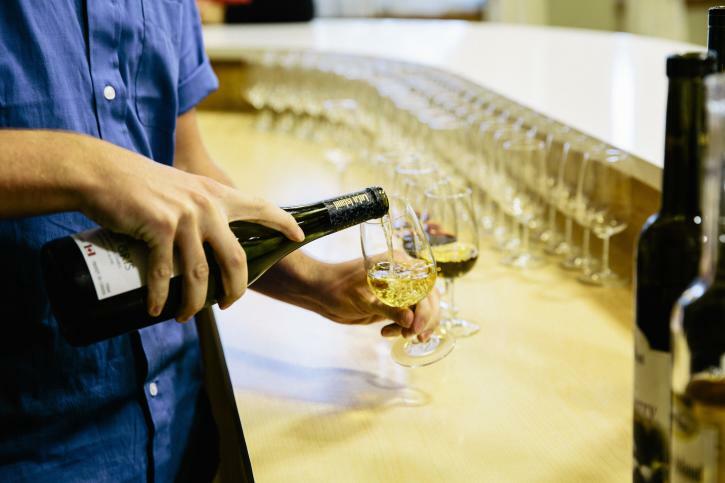 Richmond has long been a hotbed of local wine making and one producer also offers behind-the-scenes tasting tours for small groups—perfect if you’re looking for a shared experience gift. To see what’s currently available, contact Lulu Island Winery. If you have a performing arts fan on your present list, why not buy them the gift of an upcoming show at Richmond’s Gateway Theatre? The $50 gift passes at Gateway are valid for zone one or two seating at Signature Series Mainstage Shows, and if you buy them now they can be used until the end of the 2019-2020 season. An upcoming show still to come this season is the inspirational hockey drama Glory. Book your passes here.